Out with the bad and in with the good. An old saying but it applies heavily today to your gut! Out with bad bacteria and pathogens starts with adding in good bacteria in the form of probiotics. 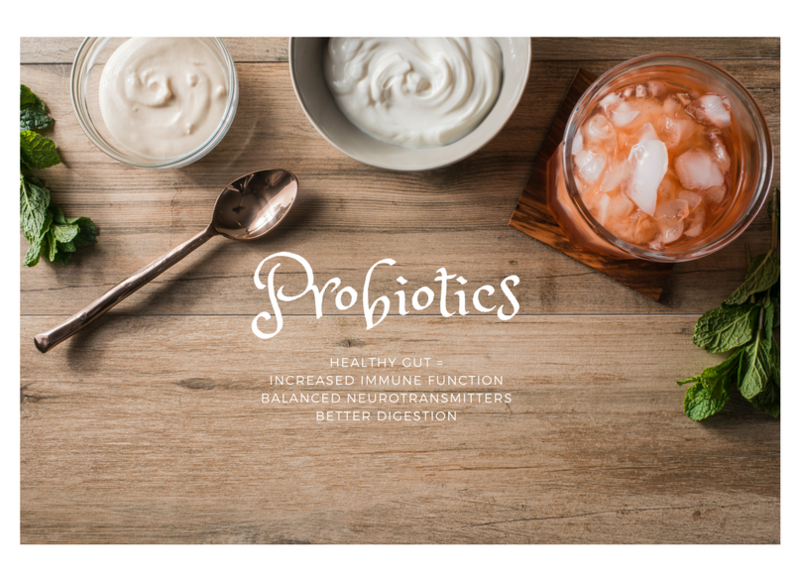 Probiotics are living organisms that are considered the good bacteria that our intestinal tracts need to function and when the correct population is established, bad bacteria and fungus such as candida begin to diminish. Probiotics are being highly suggested in the form of fermented foods but are not always easy to incorporate into the diet. Probiotic 100 is an easy addition to your supplements to give you a highly sustainable long term solution to move towards and maintain intestinal balance. Probiotic 100 helps to normalize the tissue lining in the gut and increase immune function and is a supplement of choice for anti-aging. Probiotic 100 is formulated to survive and thrive throughout shelf life and the intestinal tract and thrive in population growth to increase the good bacteria and help to lower the bad bacteria and fungal growth that is prominent in society today. Supplementation with probiotics is essential to intestinal health, immune function and anti-aging protocols. These live microorganisms present in Probiotic 100 have proven health benefits and well established safety, proven resistance to low pH and have been tested to a adhere to your intestinal tract. Because probiotics are live organisms, there are many challenges associated with manufacturing and distributing probiotic supplements. For a probiotic to be effective, it must be shelf-stable through the expiration date and precisely delivered to the intestinal tract, where it can have maximum benefit. Probiotic 100 is packaged in capsules sealed in nitrogen-purged aluminum blister packs that serve to protect from environmental factors such as heat, moisture and oxygen. Careful organism selection also ensures survival in the digestive system and delivery to the intestines. These DRcaps are gastro- resistant capsules that help slow exposure to stomach acid and promote a targeted release. With Probiotic 100, you are assisting your gut to heal, balance out mircroorganisms and increasing your overall immune function. This formulation has been chosen to survive shelf life and the harsh elements in the GI tract and deliver superior outcomes. Bifidobacterium Longum BI-05 is proven to be resistant to low pH, bile salts and is well suited for the intestinal environment. Probiotic 100 is a nutritional supplement intended to provide a therapeutic support to repopulating the intestinal tract with good bacteria that increases intestinal tissue healing, increasing bowel health, and increasing your immune function. Probiotic 100 is for individuals with intestinal issues such as bloating, gas, IBS and long term chronic illness, candida overgrowth and for those that suffer from food and environmental sensitivities. Probiotic 100 is intended to take 1 tablet daily or as directed by your healthcare practitioners. It is best to take on an empty stomach first thing in the morning or just before bed.